Numerous advancements in biotechnology have gained itself a lot of popularity recently. From, Gene Thepary to Stem Cell research to bio-robotics, it covers a big area of promising and futuristic research. Thus, the biotech industry is rapidly growing, also thanks to the huge funds and investments in the field. The stock market has become a debutante ball for the biggest, flashiest, and buzziest biotech companies — some with the hopes of being courted by big pharma. The month of March was no less where biotech companies have generated multi-millions in IPOs. The article contains monthly biotech updates for IPOs in March. Amounts mentioned in dollars are in USD and the list is in the order of dates. Main Research: ARCUS® editing platform to eliminate cancers and cure genetic diseases. Precision Biosciences was founded in 2006. It has been engaging in the development and commercialization of therapeutics and services based on genomic molecular biology. The gene editing tool used in Precision Biosciences is ARCUS which has been derived from a natural genome editing enzyme called homing endonuclease. The ARC nuclease; similar but improved homing endonuclease can be customized to recognize a DNA sequence within any target gene. Precision Biosciences has been using ARCUS for Gene therapy, Food, and Cancer Immunotherapy. Main Research: Medical devices to improve the treatment of carotid artery disease. Main Research: Devices that break up calcium deposits in the Cardiovascular System via sonic waves. Shockwave Medical is revolutionizing the interventional treatment of advanced cardiovascular disease by developing technology that targets calcified plaque. Inspired by 30-years of safety and efficacy in kidney stone treatment, their Intravascular Lithotripsy family of catheters delivers localized lithotripsy at the site of cardiovascular calcium that enables gentle balloon dilatation of calcified, stenotic arteries. IVL catheters use sonic pressure waves to preferentially impact hard tissue, disrupting calcium, while leaving soft tissue undisturbed. An integrated balloon catheter then dilates the calcified lesion at low-pressure, restoring blood flow. In the peripheral vascular clinical study of moderate and severely calcified lesions in 95 patients, IVL demonstrated safety and consistent procedure success with low procedural complications. The technology is inherently familiar, easy to use, operates with just the push of a button, and works with existing cardiovascular treatments. And because it is built on a traditional balloon catheter platform, it integrates seamlessly with clinicians’ existing workflow. Main Research: Innovative therapeutic and diagnostic solutions in metabolic & liver-related diseases. GENFIT is a late-stage biopharmaceutical company dedicated to the discovery and development of innovative therapeutic and diagnostic solutions in metabolic and liver-related diseases where there are considerable unmet medical needs, corresponding to a lack of approved treatments. GENFIT is a leader in the field of nuclear receptor-based drug discovery with a rich history and strong scientific heritage spanning almost two decades. Its most advanced drug candidate, elafibranor, is currently evaluated in pivotal Phase 3 clinical trial (“RESOLVE-IT”) as a potential treatment for nonalcoholic steatohepatitis, or NASH. NASH is considered by regulatory authorities as a medical emergency because of its potentially severe consequences, although often asymptomatic until late stages, and because its prevalence is on the rise. Elafibranor has also obtained positive preliminary results in Phase 2 clinical trial in primary biliary cholangitis (PBC), a severe chronic liver disease. As part of GENFIT’s comprehensive approach to clinical management of NASH patients, the Company is also developing a new, non-invasive and easy-to-access blood-based in vitro diagnostic, or IVD, test to identify patients with NASH who may be appropriate candidates for drug therapy. Main Research: Small molecule, targeted oncology therapies to address key limitations of existing therapies. 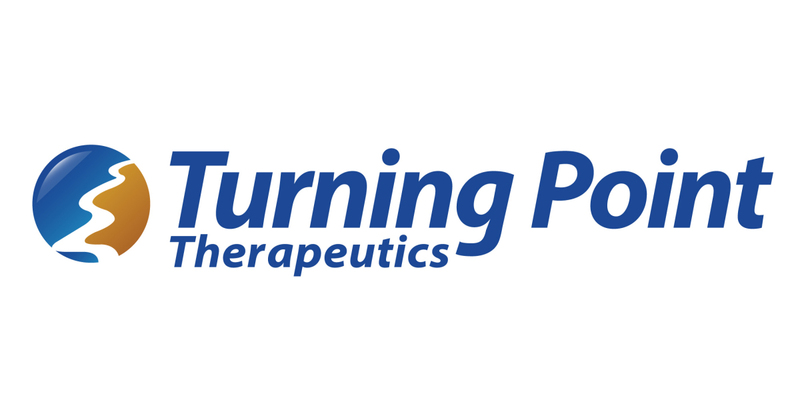 Turning Point Therapeutics, Inc. is a clinical-stage structure-based drug design company for the discovery and development of precision medicines for cancer and other diseases. They are focusing on the design of novel chemical identities for established oncogene drivers with secondary resistant mutations, newly identified disease-driven targets, and potential targets regulating tumor microenvironment and tumor immunity. Their lead therapeutic project, TPX-0005 (Repotrectinib), is in clinical development (TRIDENT-1). Main Research: Immunotherapeutics for infectious diseases and cancers using arenavirus platform. Hookipa Pharma Inc. is a clinical stage company developing products to prevent and cure infectious diseases and cancer. With this goal in mind, we created unique and cutting-edge technologies which reprogram and stimulate the immune system. Our Arenavirus technologies, Vaxwave®, a replication-deficient viral vector, and TheraT®, an attenuated replicating vector, induce potent pathogen-neutralizing antibodies and CD8+ T cells. Both, Vaxwave® and TheraT®, can be administered repeatedly while maintaining their efficacy. TheraT® induced CD8+ T cell responses to tumor antigens to reach frequencies and potencies matching or exceeding those observed after adoptive T cell therapy. Hookipa’s “off-the-shelf” viral vectors are administered systemically. They target dendritic cells in vivo and activate the immune system. In immune-oncology, this mechanism enables to fight solid tumors systemically, both primary and secondary (metastatic). At Hookipa we have successfully completed a Phase 1 trial of a Vaxwave®-based prophylactic vaccine to protect against cytomegalovirus (CMV) infections. A proof-of-concept trial in solid organ transplant patients will start imminently. They have forged a landmark partnership with Gilead Sciences Inc. to jointly research and develop functional cures for HIV and Hepatitis B infections. We are building a proprietary immune-oncology pipeline by targeting TheraT® towards HPV+ head and neck squamous cell carcinoma and prostate cancer. Mentioned in the list of IPOs in March once again, the company details about GENFIT in mentioned above. Like the previous one, Precision BioSciences too is mentioned in the list of IPOs in March once again, the company details mentioned above.